Since Jack and I have been together, we have always had a real Christmas tree. Wait, this isn’t true. In 2007 we had a Christmas fireplace where we decorated the grill and put all of the presents inside the fireplace (it didn’t work at the time), so there isn’t a cookie for 2007, but I was thinking of looking for a small fireplace that we can put the date on and hang with the other cookies. 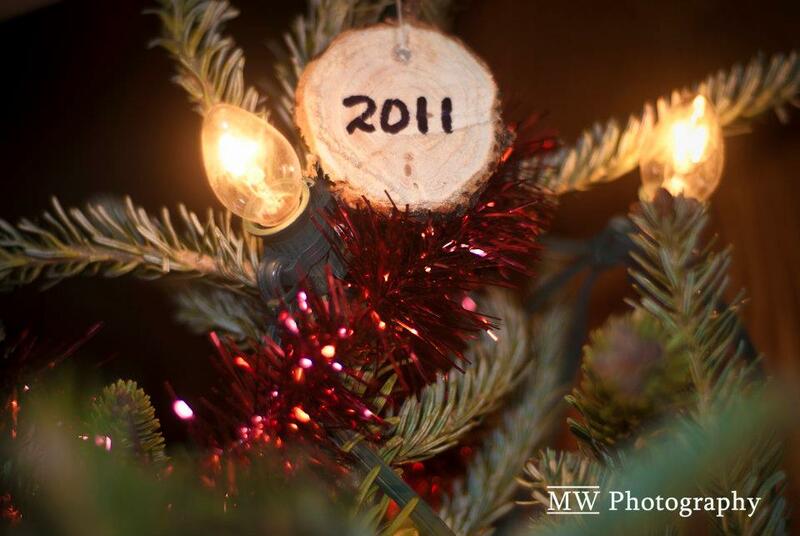 We have always made it a tradition after we bring our tree home to cut a small slice off the bottom of the trunk and write the year on it. These are our Christmas Tree Cookies that we usually hang from the tree. 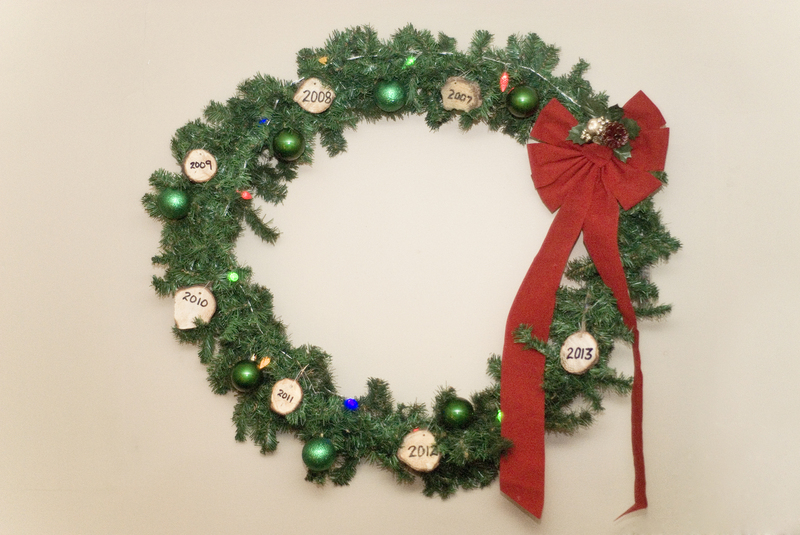 This year, I made that giant wreath for our living room using a hula hoop and Dollar Store garland. Click here to see the post on how to make a giant wreath. It was a little bland looking though, so I thought I would decorate it with our Cookies, and I love how it looks! So personalized and it is the center of our livingr0om. I think for next year, I will add some red ribbon and spruce the cookies up a little! On a side note, our tree is up and bright as ever. 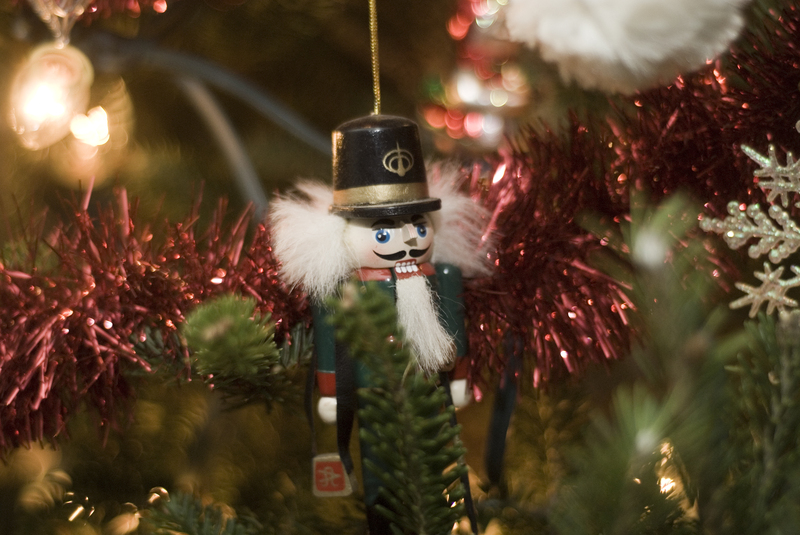 I will try and get some more pictures, but for now, I love taking ornament shots in the tree, so enjoy! 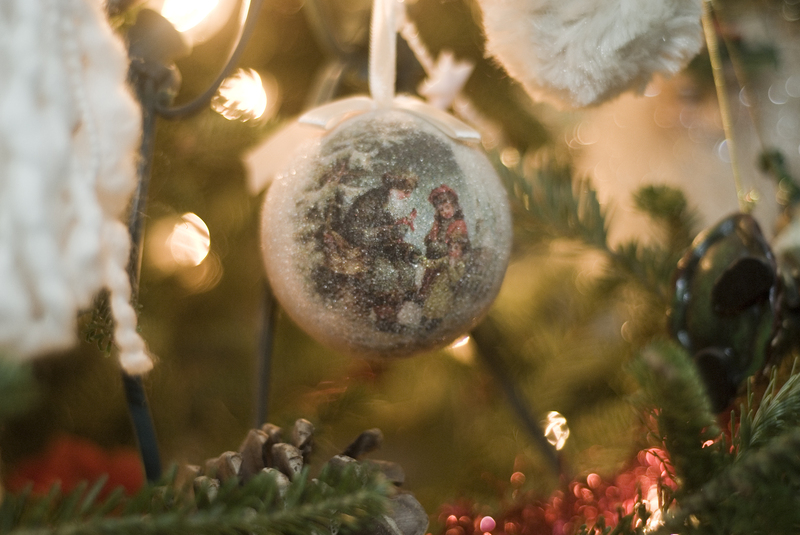 New Christmas ball we bought for the tree! i like the idea of a Christmas tree trunk cookie! 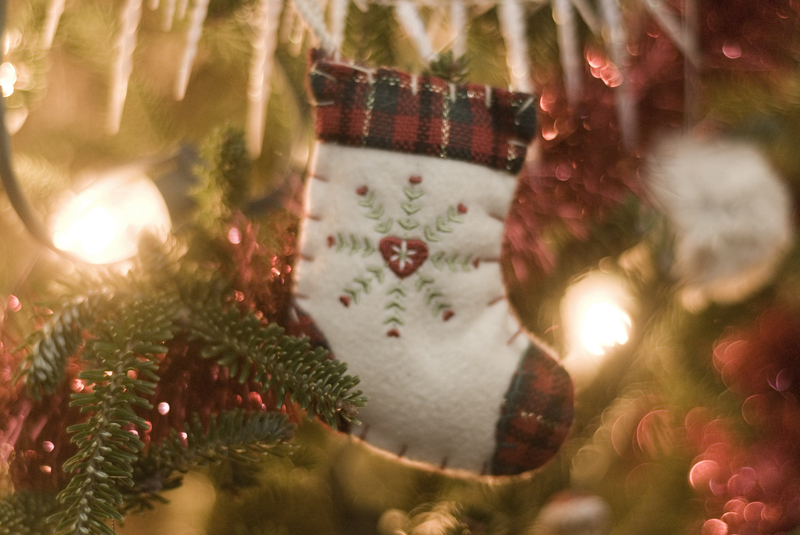 But you must buy relatively small trees – or are the “cookies” bigger than they appear in the photograph? Thanks for actually measuring them!! I guess 6-8 inches is pretty reasonable after all.